Open the Management Portal and navigate to the table list for the ContactDB schema. Use the same steps we used earlier to see the Contact table (The Contact Table). 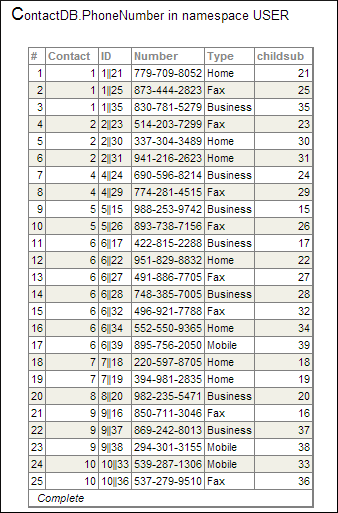 Notice that it has a Contact column that contains the IDs for the corresponding Contact instance. This column provides a foreign key into the Contact table.